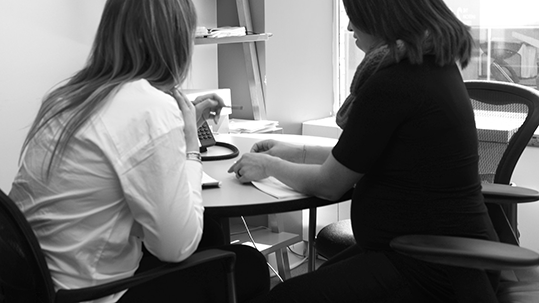 HCM effectively works on our clients behalf, providing support and strategic guidance to help form policy priorities that are impactful and meaningful in the channels of both health and education. We tackle the hard stuff, reforming federal financial aid, increasing college attainment and completion rates and ensuring that patient preferences and priorities are at the center of regulatory decision-making. Aemerge RedPak is revolutionizing medical waste treatment. Approved by the California Department of Public Health and the governing air quality management district, we operate the only commercial scale fully-permitted “High Heat” treatment facility in California for all categories of medical waste, including pharmaceutical, pathological, trace chemo, sharps, and biohazardous. We provide services for California-based medical waste generators, as well as generators from across the country. Algiers Charter is a community-based charter network committed to student success in both college and life. Our five schools service nearly 3,500 students in the New Orleans Area. Every school is designed to support each child’s academic, social, and emotional journey. Our approach in education is tailored across each grade level to be engaging, rigorous, and motivating. We believe those qualities are necessary in order for students to develop the critical thinking and core knowledge needed to succeed. Our educators and staff come from all backgrounds and work daily to guide our scholars towards their full potential. We believe wholeheartedly education equals success for our students and our community – and we always strive to put children first, for a better future. The Bill & Melinda Gates Foundation seeks to accelerate efforts already under way in higher education and to support the enormous talent, creativity, and energy being applied to improving student completion rates and lowering costs while raising the quality of the U.S. postsecondary education system. 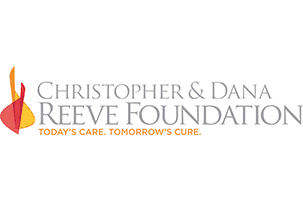 Braeburn is developing long-acting medicines for treating opioid addiction. Opioid addiction, also known as opioid use disorder (OUD), is a medical condition requiring medical treatment. Together with counseling and support, Braeburn’s next generation medicines aim to support patients focusing on the reintegration of their lives with their families and communities. In the more than a decade since its formation, EDGE has focused on improving California’s system of workforce education and training and removing the serious barriers that prevent so many Californians from getting the skills they need to succeed in the labor market. California has made progress since we first came together. There is now widespread recognition that despite the state’s historic commitment to higher education, too few students achieve degrees, certificates, or transfer and many low-skilled working adults have limited access to skill-development opportunities. Career education that had once received limited recognition and insufficient financial support is increasingly being recognized as an important component of postsecondary education. Campaign for College Opportunity is a statewide advocacy organization in California with a mission to ensure all students in the state have the opportunity to attend and succeed in college. They work to influence legislation and system policies through raising student voice, collaborating with other like-minded leaders, and elevating research and best practices. In 2014, HCM Strategists worked with the CCO Board to develop their next strategic plan through 2018. 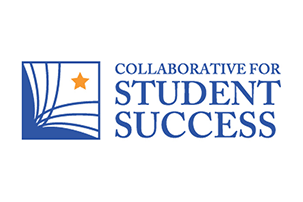 The Collaborative for Student Success is a non-profit advocacy organization that works to defend high standards, high-quality assessments, and strong systems of accountability, to ensure that all kids are prepared for college or career. Through capacity-building efforts with in-state organizations and collaboration with national partners, we promote fact-based public discourse and fight to advance policies that promote best practices and ensure equitable outcomes for all students. College Board is a not-for-profit membership organization committed to excellence and equity in education. Their mission is to connect students to college success and opportunity. Their initiatives promote curricula, assessment tools, district and guidance resources that help K-12 students prepare for and connect with higher education. With tools like the Advanced Placement (AP®) college-level courses and the SAT college entrance exam, College Board is at the forefront of college preparation. 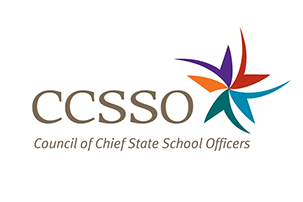 The Council of Chief State School Officers (CCSSO) is a nonpartisan, nationwide, nonprofit organization of public officials who head departments of elementary and secondary education in the states, the District of Columbia, the Department of Defense Education Activity, the Bureau of Indian Education and the five U.S. extra-state jurisdictions. They are committed to ensuring that all students participating in our public education system — regardless of background — graduate prepared for college, careers, and life. EnLearn’s mission is to radically improve education for every student by continuously adapting the entire learning ecosystem. They have developed a groundbreaking learning platform that allows publishers, school districts, and teachers to work together to deliver personalized learning while using classroom data to make content and learning more effective. Enlearn diagnoses key learning obstacles and misconceptions in real-time to deliver the right problem with the right support at the right time, personalized to the student’s learning DNA. The George W. Bush Institute, founded by President and Mrs. Bush in 2009, is a public policy center in Dallas with the mission of advancing freedom by expanding opportunities for individuals at home and across the globe. Built on principles that guided the Bushes in public life, the Bush Institute uses leading research to develop and implement policies that offer practical solutions to pressing problems in the United States and abroad. Higher Learning Advocates is a non-profit advocacy organization working to shift federal policy from higher education to higher learning—education and training beyond high school that leads to a degree, credential, or employment. While more students are participating in higher education than ever before, there is a vast and growing disconnect between federal policy and the needs of today’s students, employers, and communities. We are working toward federal policies that create transparent pathways to success, incentivize innovation, protect students and taxpayers, and improve outcomes. 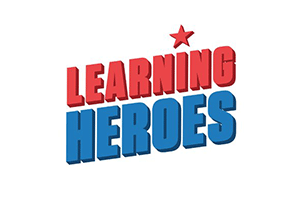 Learning Heroes helps answer your questions: about homework, what your child is expected to learn each year, ways you can support your child’s emotional health and happiness, planning for college, and more. Their mission is to inspire and equip parents as Learning Heroes, so every child can succeed. They connect you to useful information and simple actions you can take to help your child thrive in school and life. Their team helps you understand how to best support your child’s education and connect you to resources from some of the nation’s most trusted experts and organizations such as the National PTA, Scholastic, Common Sense Media, GreatSchools, Univision, and more. 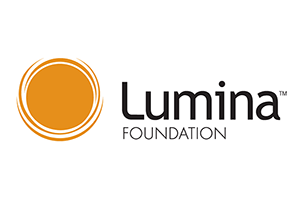 Lumina Foundation, an lndianapolis-based private foundation, is committed to enrolling and graduating more students from college—especially 21st century students: low-income students, students of color, first-generation students and adult learners. Lumina’s goal is to increase the percentage of Americans who hold high-quality degrees and credentials to 60 percent by 2025. Lumina pursues this goal in three ways: by identifying and supporting effective practice, through public policy advocacy, and by using our communications and convening power to build public will for change. The National Institutes of Health (NIH), a part of the U.S. Department of Health and Human Services External Web Site Policy , is the nation’s medical research agency—making important discoveries that improve health and save lives. Thanks in large part to NIH-funded medical research, Americans today are living longer and healthier. Life expectancy in the United States has jumped from 47 years in 1900 to 78 years as reported in 2009, and disability in people over age 65 has dropped dramatically in the past 3 decades. In recent years, nationwide rates of new diagnoses and deaths from all cancers combined have fallen significantly. The trustees, presidents and staff of the Ohio Association of Community Colleges (OACC) are dedicated to the advancement and implementation of sound policy and initiatives that work to ensure the success of the more than 300,000 community college students in Ohio. Rooted in the belief that every person should have access to a high-quality college education, the OACC supports the mission of the state’s 23 community colleges to provide programming in technical education, lower-division baccalaureate education, developmental education, and continuing education in our local communities. The PIE Network’s mission is to connect state-level education advocacy organizations with colleagues across the country to amplify their voices and maximize their impact. We envision a powerful network of champions for education reform working together across the country to advocate for policies that ensure all kids have the schools they deserve. Planned Parenthood is a trusted health care provider, an informed educator, a passionate advocate, and a global partner helping similar organizations around the world. 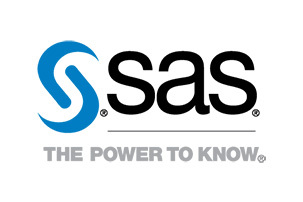 SAS is a trusted analytics powerhouse for organizations seeking immediate value from their data. Through innovative software and services, SAS empowers and inspires customers around the world to transform data into intelligence. Their bench of analytics solutions and broad industry knowledge keep our customers coming back and feeling confident. With SAS, you can discover insights from your data and make sense of it all, identify what’s working and fix what isn’t, make more intelligent decisions and drive relevant change. Smarter Balanced is the result of state education agency staff, teachers, higher education faculty, and other educators working together to create a “best of the best” assessment system with the ultimate goal of increasing the number of students who are well prepared for college and careers. This effort began with the recognition that most assessment systems were disjointed, outdated, and did not offer a cohesive set of tools to help educators improve teaching and learning. The U.S. Chamber of Commerce Foundation is dedicated to strengthening America’s long-term competitiveness and educating the public on how our free enterprise system improves society and the economy. The Foundation conducts research and produces events on issues facing business now and in the future. Through its initiatives, the Foundation builds skills, drives innovation, and encourages growth. 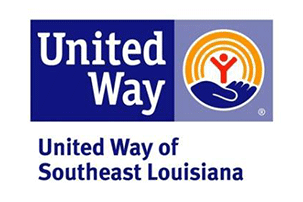 The United Way of Southeast Louisiana spends a great deal of time identifying, assessing and monitoring the most pressing needs in our region. They then fund programs, support collaborations, convene experts, advocate for change and foster new and needed community services to address the issues based on best practices. The organization works tirelessly to provide quality health and human services for our community and measure the results to ensure we are making a difference. WRNJ is a diverse coalition of New Jersey organizations and associations that are united in our belief that New Jersey students need and deserve a world-class education to effectively compete and succeed in our rapidly changing world. Our coalition organizes the power of each member organization into a collective voice to advocate for high quality academic standards and aligned assessments, and to ensure that every child is prepared for college, career, and active citizenship in our communities.